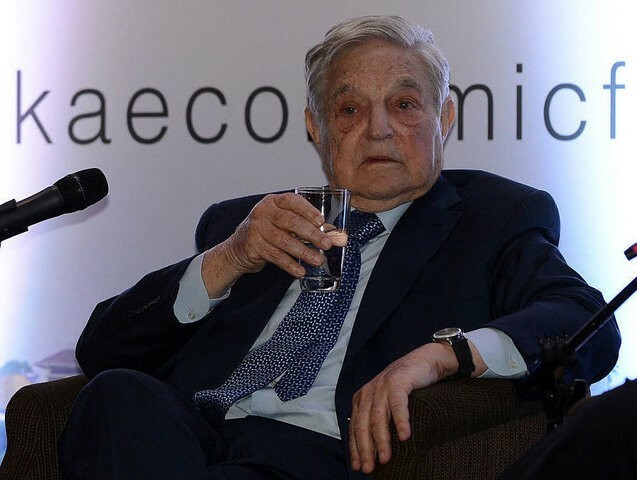 Soros, who fancies himself as the master of placing short put options on stocks, often cleaning up to the tune of billions of dollars in the process when the stock values collapse, has been dealt a few financial body blows. Recently, the Dutch securities market regulator AFM «accidentally» revealed on line all of Soros’s short trades since 2012. Soros’s trades were revealed on AFM’s website and were removed after the regulator realized the «error». However, the Soros data had already been captured by automatic data capturing software programs operated by intelligence agencies and brokerage firms that routinely scour the Internet looking for such «mistakes». Russia was the first to call out Soros for his interference in Russian politics. The Soros plan to destabilize Russia, dubbed the «Russia Project» by Soros’s Open Society Institute and Foundation, foresaw the outbreak of Ukrainian-style «Maidan Square» uprisings in cities across Russia. In November 2015, the Russian Prosecutor-General’s office announced the proscription of activities of the Open Society Institute and the Open Society Institute Assistance Foundation for endangering Russia’s constitutional order and national security. In Poland, where Soros has been very influential, a Member of Parliament for the ruling right-wing Law and Justice Party (PiS), Krystyna Pawłowicz, recently demanded that Soros be stripped of Poland’s highest honor for foreigners, the Commander with Star of the Order of Merit of the Republic of Poland. Pawłowicz considers Soros’s operations in Poland to be illegal. She also believes that Soros’s organizations are «financing the anti-democratic and anti-Polish element with a view to fight Polish sovereignty and indigenous Christian culture». Aivars Lembergs, the mayor of Ventspils, Latvia and a leader of the Union of Greens and Peasants, wants Soros and his NGOs banned from Latvia. Lembergs argues that two Soros publications in Latvia – Delna and Providus – have propagandized in favor of Latvia receiving Muslim migrants. Lembergs sees the migrants and Soros’s support for them as endangering Latvian state security. The mayor believes that «George Soros must be outlawed in Latvia. He must be banned from entering the country». It is no longer easy being a meddlesome multibillionaire who overthrows governments with the snap of a finger. Soros has not only alienated the President of Russia and the Prime Minister of the United Kingdom but now the President of the United States. Soros is also enemy number one among the leaders of China. With such an array of enemies, it is doubtful Soros will have any more political successes like Ukraine or Georgia. With all of his billions, Mr. Soros now only commands a «paper doll army».